Does Going to the Doctor Make You Sick? In the beginning of the semester, sicknesses were spreading through campus like wildfire. You still can’t sit through a lecture for 10 straight seconds without hearing at least one cough (seriously, try it). You probably know all of this, because you were probably a victim of one of these sicknesses. I surprisingly was not…until I went to the doctor. 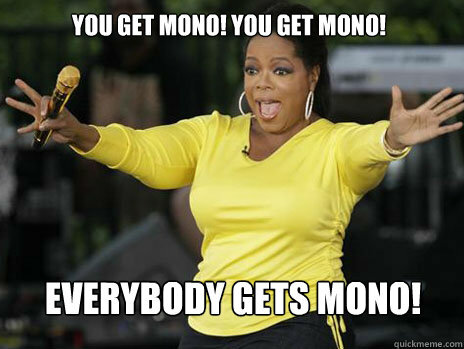 On week two of college, my friend told me she had mono. I absolutely panicked when I remembered that we had shared a plate of pasta, drank each other’s drinks, and hung out practically every day. In an effort to be extra cautious, I scheduled an appointment with University Health Services that same day. They asked me, “What are your symptoms?”. I responded, “My best friend has mono”. Once I got to the doctor, they said I had the best throat they had seen all day. They said I had absolutely no symptoms of any sicknesses. 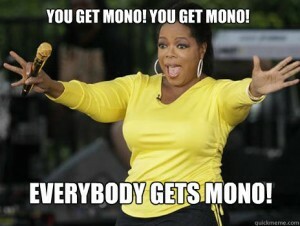 They wouldn’t even test me for mono. So, I left. Over the following week, I noticed myself starting to get symptoms of a sickness. I was coughing, sneezing, aching, and most importantly, still worrying that I had mono. This whole situation had me retracing my steps in the doctor’s office. My healthy-self opened the door to University Health, checked-in at the touch-screen station, hit an elevator button, signed a paper, took about 200 breaths of air at this point, and sat in a chair before I got into my actual appointment. Could my friend have nothing to do with my sickness? Could it have been one of these steps that potentially made me sick? The commonly held belief: Going to the doctor (putative causal) makes you better (putative response). Reverse causation: Feeling better (putative causal) makes you go to the doctor (putative response). Note: this probably doesn’t happen much unless you are me and you try to get rid of a sickness that you don’t have. Confounding variable: Going to the doctor and getting medicine and/or proper care (confounding variable) makes you better. Once you think about this one, you realize that #1 probably isn’t true unless you’re already getting better without medicine and don’t catch any nasty germs in the doctor’s office. Even in that case, the doctor’s office still wouldn’t be causing you to get better. 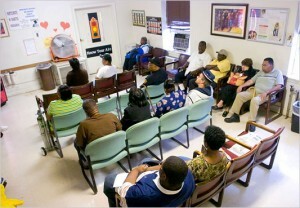 The actual act of going to a doctor’s office (#1 in the above list), in my opinion, does more harm than anything else. Owen Hendley, MD, did a study in which he gathered thirty adults who had symptoms of a cold. Out of the thirty, sixteen tested positive for rhinovirus, the virus responsible for the common cold. Hendley then took six of these remaining participants’ mucus and placed it onto commonly-touched surfaces. He and his team found that, after one hour, the virus was still infectious in 22% of the cases. After a full day, the virus was only found infectious in 3% of cases. In most doctor’s officers (and especially in University Health on the second week of school), it’s basically unheard of that the office wouldn’t have patients coming in and out every hour. In fact, I got the absolute last appointment available until a week and a half later. Of these people coming in and out, it would be logical to expect a good majority of them to be there for a sickness; therefore, the germs that they are leaving on different surfaces are the germs that you went to the doctor to get rid of in the first place. The irony! My take-away from this is that maybe we should all go to the doctor on Monday because most offices are closed on Sunday’s, leaving 24 hours for bad germs to be practically gone. But even in that case, the people who get there before you on Monday will inevitably leave their germs on surfaces, and, according to this study, you’d have about a 1 out of 5 chance of being exposed to such germs. So, I learned my lesson; unless I’m absolutely sure that I’m sick, I will not be scheduling a doctor’s appointment. Even then, I will be taking precautionary measures such as wearing a mask in the office and using hand sanitizer after I touch surfaces. A study done by University of Michigan during flu season showed that out of 1,000 students, the groups that were directed to wear masks and use hand sanitizer were 10-50% less likely to catch the flu. Even if there might only be a 10% chance of protection in some cases, it can’t hurt to take easy, effortless preventative measures. This entry was posted in Uncategorized on September 23, 2016 by Rachel Sara Anton. Since I am always sick when I go to the doctor, I normally do not contract any other diseases BUT when I used to go to the orthodontist back in middle/high school I would always end up getting sick! When I was younger I unfortunately had braces and would be due for my annual check up every three months. Without a doubt I would get sick around two days after the annual three month appointment. This problem was so relevant that I started to anticipate getting a cold after my appointment at the orthodontist. It frustrated me that I would always end up with a cold and heavily contemplated why this could be. As gross as it may sound, I truly believe that I always left the orthodontist sick because they did not use the correct sanitation methods and were spreading germs that could cause cold like symptoms. That is my hypothesis that I made from my situation, but there was no actual way for me to find out if it was accurate or not. Check out this article that proposes some ideas of why people may be getting sick at places like the dentist or orthodontist http://www.foxnews.com/health/2011/07/15/gross-outat-dentist.html, it is very interesting to hear some of their ideas I never would have thought of! The Doctor’s office is certainly a place where one could get infected with a virus. Considering the amount of sick patients who come in daily, it is not unreasonable to say that one could become sick just by merely visiting the facility. However, I think there are a few areas you need to reconsider when constructing your argument. Have you ever thought that your visit to the office and recent symptoms are actually unrelated? Chance is always a possibility when considering a scenario like this. If possible, try to eliminate any possibility of confounding variables before determining that ‘x’ caused ‘y’. (In this case–visiting the doctor caused you to become sick). In reality, it is extremely difficult–perhaps impossible–to locate the source of your illness. Simply being a human on this earth makes you susceptible to all sorts of viruses and infections. You could also be experiencing bias. Because you read an article which proposed that visiting the doctor could cause you to become sick, you may have assumed that this phenomenon was indeed the case. And if you continued to hang out with your friend while she was sick, it is still possible that she could have contracted your illness after your visit. I would recommend reading this article from WebMD about the placebo effect: http://www.webmd.com/pain-management/what-is-the-placebo-effect. Feel free to let me know what you think! I do realize my sickness could very well have been from something other than germs in the doctors’ office. If this were the case, however, I would have to disagree with you calling this chance. Rather, I would call this scenario direct causation between some sort of germ in some location (putative causal) and me picking up a sickness (putative response). I would easily be able to identify the response (my sickness/symptoms) but not necessarily be able to identify the mechanism. I realize that locating the source of our illnesses is nearly impossible, but I also realize that many people would never stop to think that the doctor’s office COULD be a source of our sicknesses. I chose to write this article to point out that these ominous sicknesses could, in some cases, come from the place that we go to get rid of them, thus causing a vicious, ironic cycle. Also, the article I read did not try to prove or state that going to the doctor makes us sick. While the title of the article reads, “Toys in Doctors’ Offices Are Germ Hotbeds”, I actually did not use any information from the paragraph addressing that title. If you read further down the article, I used the study that focused on commonly infected objects in the household. I used the study to then propose my thoughts about going to the doctor. I concluded my proposal with a study regarding how to prevent getting sick at college. I then applied this to how I would avoid getting sick specifically at the doctors’ office to further my point. I did not base my writing on any bias, but on personal experience. I am not saying that going to the doctors’ was the absolute source of my sickness, but I am not counting that out as an option. While I realize my sickness could be from anywhere, this does not change my opinion about further prevention of sicknesses; unless I’m absolutely sick, I will not go to the doctor. This is worth my while, because it would mean avoiding a confined area with a large population of infected germs. Here is the link to the source that I used if you would like to take a second look. If you have any thoughts, feel free to comment back! Great article! It always seems as if you go to the doctor, you get better. I mean, obviously that’s what they’re supposed to do. But it also makes logical sense that, when you’re surrounded by sick people or are using the same clip board as them to fill out paperwork, you’re coming into contact with their germs as well. But could something else be causing it? We always talk in class about chance always being a possibility, but could it be a psychological tendency that going to the doctors when you’re healthy causes you to let your guard down, causing the sickness to come? This may be far fetched, but with things like placebo effects, your mind can change your body without you even realizing it. So this may be a possibility, and I wondered if there would be a way to test that. Hey Rach, awesome post! I relate to this so much because I cringe every time I enter the doctors office and think about all of the germs I am surrounded by. UHS on a Monday sounds a lot better than UHS on a Friday…I’ll be keeping that in mind. However, I’m not so sure about your avid use of hand sanitizer. The FDA has recently called for proof that hand sanitizers actually kill bacteria and germs. I think I’m going to stick to the mask and just wash my hands after every visit from now on! Personally I think the doctors is where I catch most of the illnesses I get. I go to the doctor when I think I’m not feeling well. For some reason whenever I leave the doctor I always feel worse or maybe it’s in my head but here’s my reasoning. People who are sick go to the doctors, they cough and spread millions of germs everywhere in the air that we breathe. I think that because there is a large amount of people that are sick at the doctors in such a centralized area, they spread what they have to others and therefore getting more people sick. So yes, the doctors do make us sick or at least me!